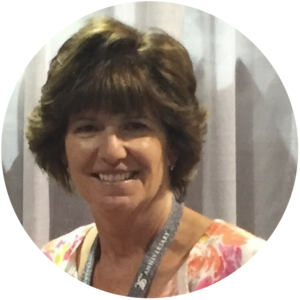 Pam Birnbrauer has been with WesCo Marketing since October 2006 and is the right and the left hand of Jeff and Shelley. Pam manages our office; keeps Jeff on the road by scheduling his appointments and preparing for his meetings; assists Shelley in customer follow-up and managing shows; is our bookkeeper; and has somehow survived working for a husband and wife team, in a home-based office for over 12 years! Pam lives in Fallbrook, is married to Paul, and has two boys Kyle and Andrew. Pam is a dog lover too and volunteers at Labs and More, where she adopted her rescue dog Dex.